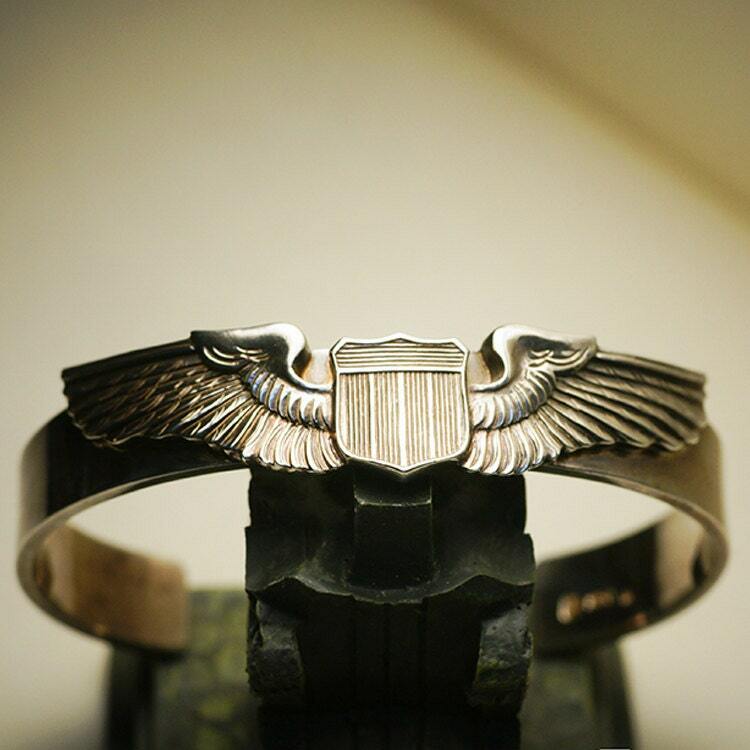 The silver wings bracelet is a design inspired by the insignia of WW2 US Air Force Pilots. A shield, flanked by two beautifully carved wings - notice the realistic details of the design. It needs tremendous focus and skill to carve this design by hands. 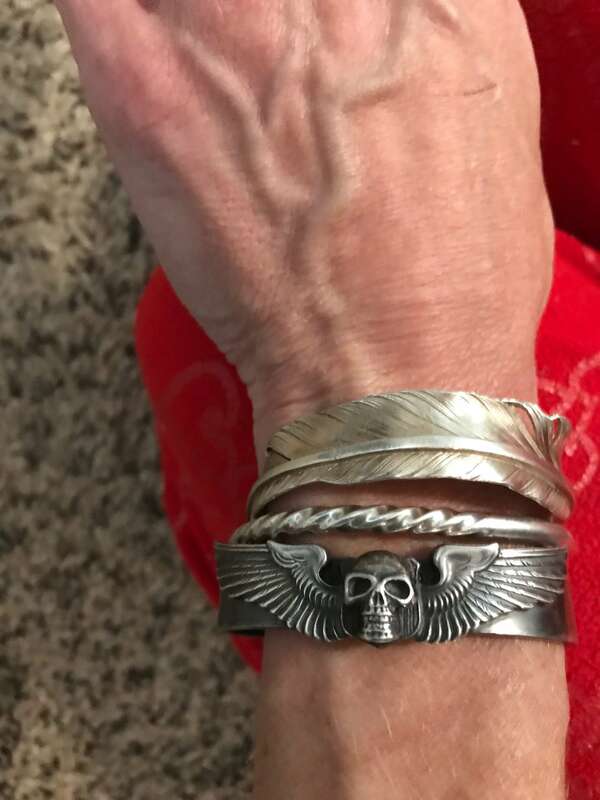 The wings are attached on a plain silver cuff bracelet. 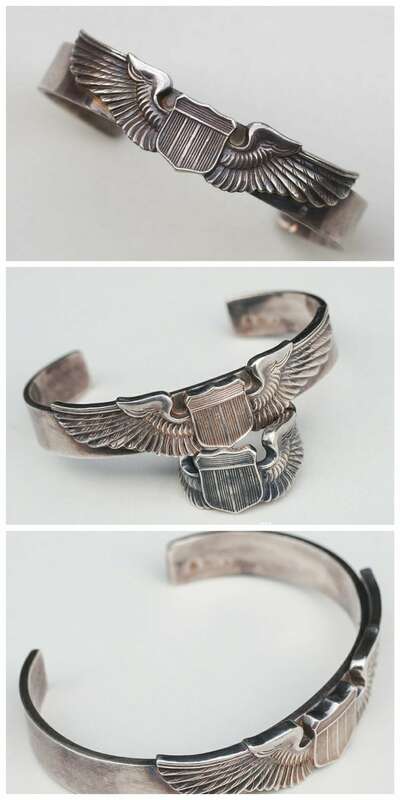 An ideal gift for aviation geeks, USAF fans, pilot’s spouses, or for anyone else looking to wear a piece of history on their wrist. 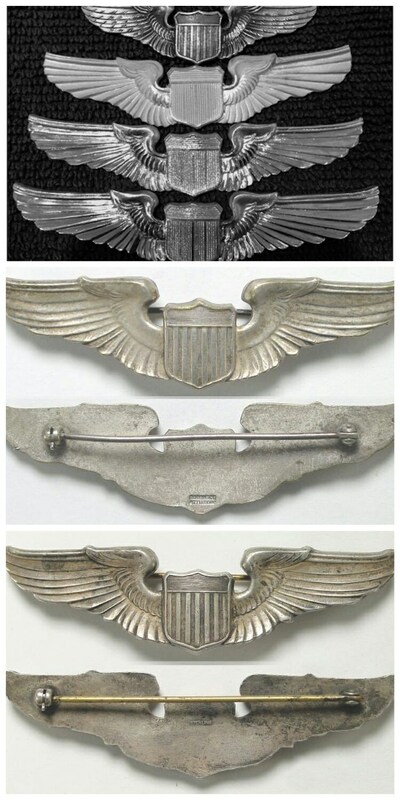 Wear it to feel the pride of the pilots when they earn their wings. Or wear it just as a tribute to our flying heroes. This is a unisex silver bracelet - suitable for both men and women. 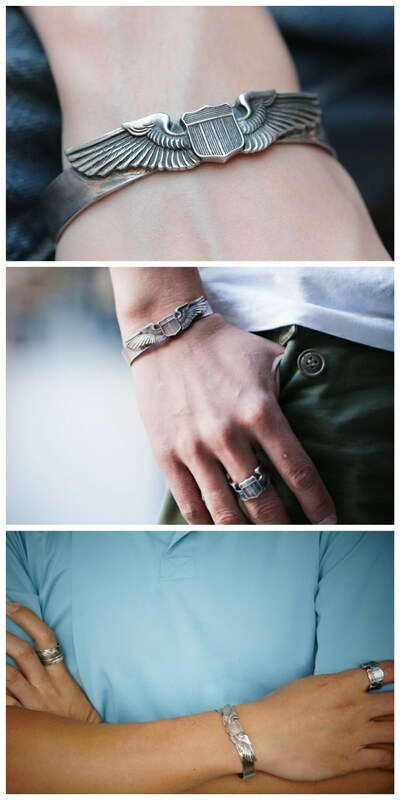 Width: 1.0 cm/0.4 inch. Thickness: 1.8mm/0.07inch. 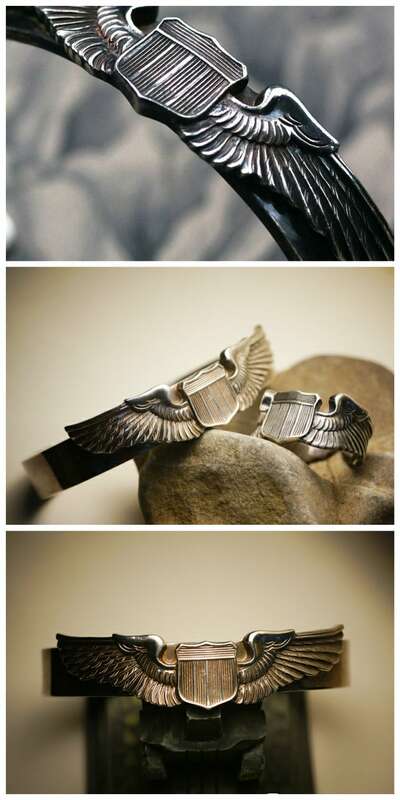 The silver pilot wings bracelet is oxidized for a beautiful, vintage look. The oxidization process is random, which makes each piece totally unique - the piece that you get is only one of its kind! The oxidation of silver is achieved by treating the piece with sulfide, and it creates a tarnished, antique look. If you want to keep the original, shiny silver finish, please leave us a note when placing your order. We can personalize your bracelet by engraving your name or initials on the inside of the bangle (in LARGE CAPS, up to 7 characters). You can also choose numbers, &, and (.) little dots. All Letters Size 1/8" (2mm). Just leave us a note when ordering.